9 June 2016. 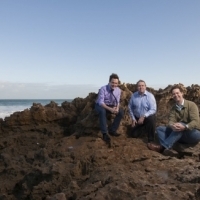 Professor Eric May (pictured right), Dr. Zachary Aman (left), Dr Brendan Graham (centre) and their research feature in this recent news article. It canvases their research on using alginates for scale prevention in oil & gas pipelines.